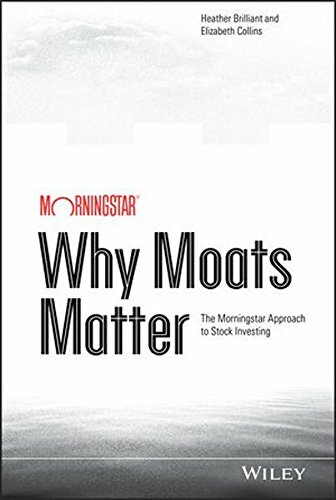 Why Moats Matter is a comprehensive guide to findinggreat companies with economic moats, or competitive advantages.This book explains the investment approach used by Morningstar,Inc., and includes a free trial to Morningstar's Research. Economic moats—or sustainable competitiveadvantages—protect companies from competitors. Legendaryinvestor Warren Buffett devised the economic moat concept.Morningstar has made it the foundation of a successfulstock-investing philosophy. Morningstar views investing in the most fundamental sense: ForMorningstar, investing is about holding shares in great businessesfor long periods of time. How can investors tell a great businessfrom a poor one? A great business can fend off competition and earnhigh returns on capital for many years to come. The key to findingthese great companies is identifying economic moats that stem fromat least one of five sources of competitive advantage—costadvantage, intangible assets, switching costs, efficient scale, andnetwork effect. Each source is explored in depth throughout thisbook. Even better than finding a great business is finding one at agreat price. The stock market affords virtually unlimitedopportunities to track prices and buy or sell securities at anyhour of the day or night. But looking past that noise andunderstanding the value of a business's underlying cash flows isthe key to successful long-term investing. When investors focus ona company's fundamental value relative to its stock price, and notwhere the stock price sits today versus a month ago, a day ago, orfive minutes ago, investors start to think like owners, nottraders. And thinking like an owner will makes readers betterinvestors. The book provides a fundamental framework for successfullong-term investing. The book helps investors answer two keyquestions: How can investors identify a great business, and whenshould investors buy that business to maximize return? Using fundamental moat and valuation analysis has led tosuperior risk-adjusted returns and made Morningstar analysts someof the industry's top stock-pickers. In this book, Morningstarshares the ins and outs of its moat-driven investment philosophy,which readers can use to identify great stock picks for their ownportfolios.